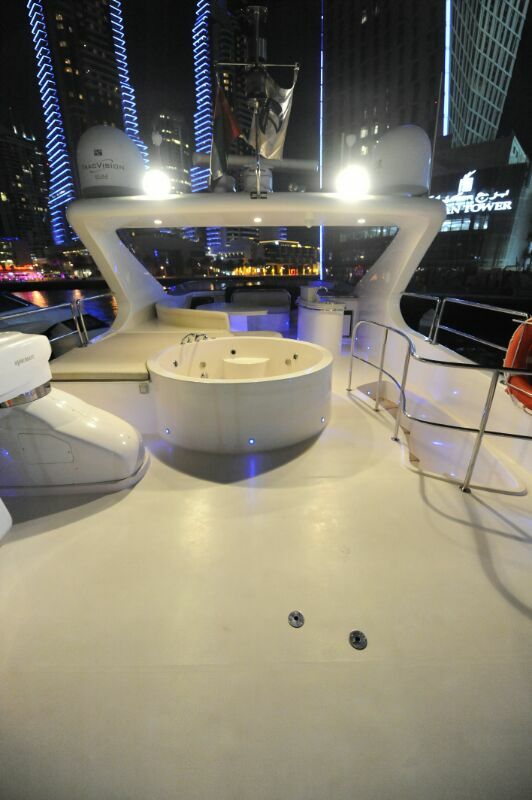 The main deck aft hosts an alfresco dining table with a sofa lining the stern. 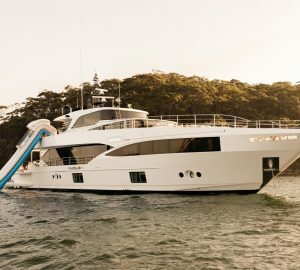 Staircases connect down to the lower deck swim platform for easy access to the water, while on the foredeck there is a C-shaped sofa in front of the helm station coupled with a drinks table and on the bow, there is a loveseat. 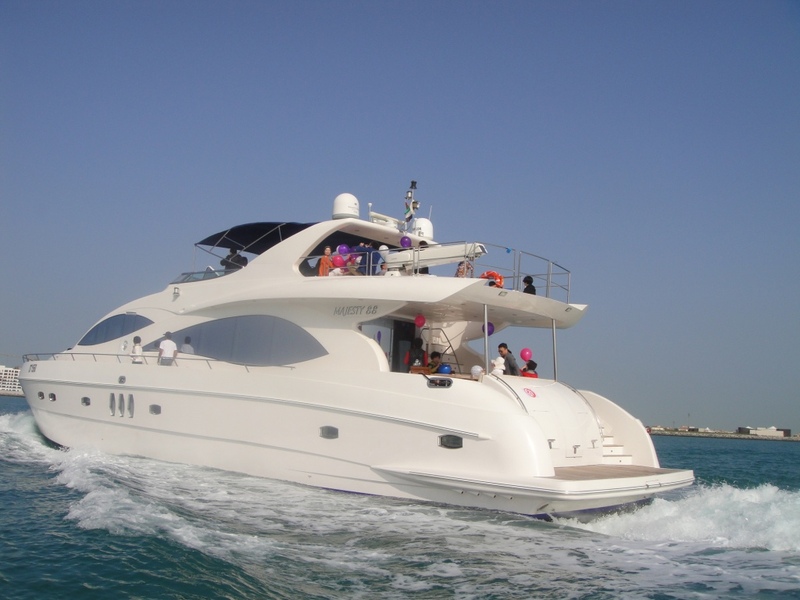 On the flybridge, the aft section is left clear for tenders which are launched and retrieved using a Davit crane. The large circular spa pool has a large sunbed to port and beneath the hardtop, there is a curving sofa with raised alfresco dining table and a wet bar opposite. The lower deck hosts the guest accommodation consisting of four en-suite cabins, plus the crew accommodation and engine room. On the main deck adjacent to the helm station there is a C-shaped sofa and drinks table creating a nook beside the windows, and immediately behind the formal dining area provides for up to eight guests. To starboard, a staircase leads up to the flybridge while farther behind on the main deck, a sofa lines each wall in the lounge. 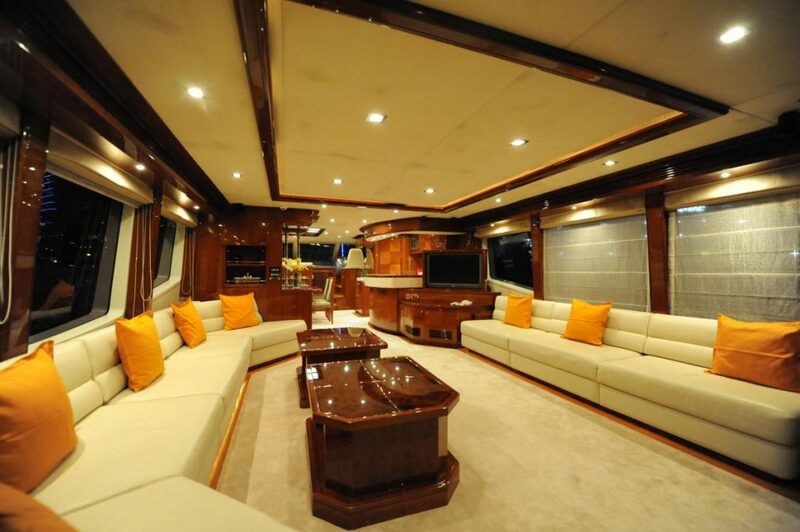 A pair of coffee tables are placed to port and a widescreen TV integrated into the forward starboard wall. 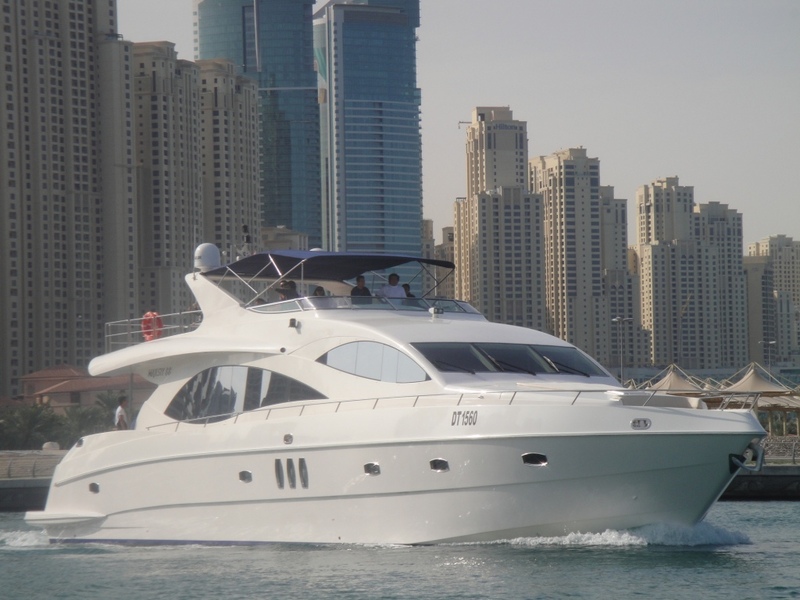 The twin Caterpillar engines produce 3,600 HP for a top speed of 27 knots and a cruising speed of 10 knots. 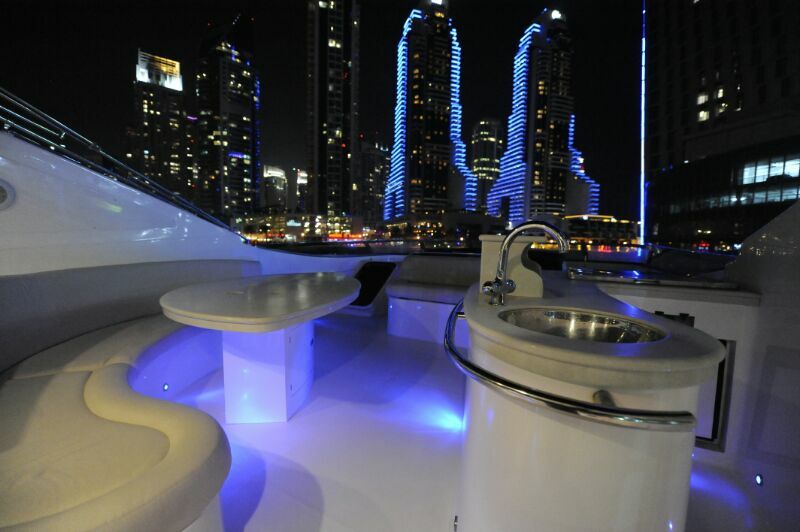 INFINITY 1 has four cabins that include two doubles and two twins. Each room has its own satellite TV.